When you think of mills, you don’t immediately think of Central Limburg, or of Weerterland, or the cross-border landscape of Kempenbroek. 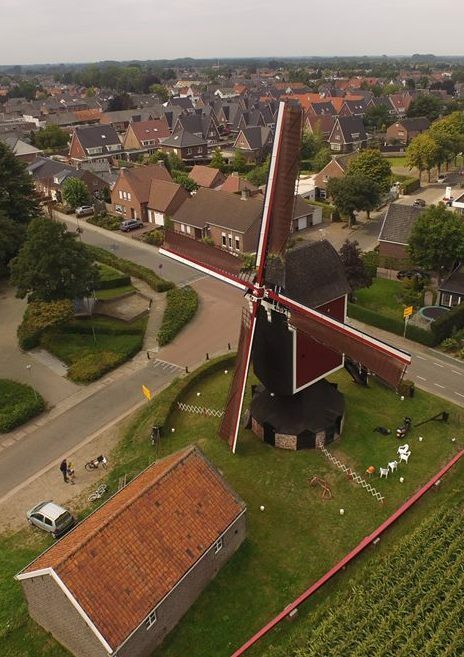 The area round Weert and Bocholt/Bree in Belgium is truly the land of mills. They take a predominant place in the landscape and belong to our hamlets, villages and cities. And it has been so for at least a hundred years, often much longer. Our windmills and watermills testify to the agricultural past of the region. The were, and still are, places where people like to meet. Would you like to see the mill? Weert, Nederweert, Budel and some parts of the municipality of Leudal form Weerterland. The Belgian municipalities of Bocholt, Bree, Hamont, Kinrooi form the Kempenbroek. In this area, you can find 19 windmills and watermills. Right across the Belgian border, some 23 watermills and 6 more windmills are to be found. Many of them are still running, turning and grinding flour regularly, and whose flour is made traditionally, or whose oil is pressed and offered for sale. Moreover, some of the mills are used for training the new voluntary millers. What characterizes Kempen~Broek between the Peel, the Meuse and the Kempen, is the diversity of the types of mills that you come across there. Most typical of the region are the mills erected on an articial mound, which are called “bergmolens” or “beltmolens” locally. The sandy and peety soil around Weert has always proved to be rather barren. The most you could manage to do was to grow rye and buckweat, which is why you find above all grain grinding mills around the city. In and around Weert, you come across a few unusual mills, in particular the octogonal windmill of Swartbroek and the sixteen-sided one of Horn, as well as the two central post windmills which Baexem and Stamproy pride themselves on. In Swartbroek, Budel and Hamont, three circular platform windmills are the highlights of the respective villages. Near the Meuse River, across the border, You find many watermills. And Sevensmolen and Napoleonsmolen are the attractions of Kaulille and Hamont. All of our mills are little jewels which liven up the nicest parts of the Limburgian landscape. 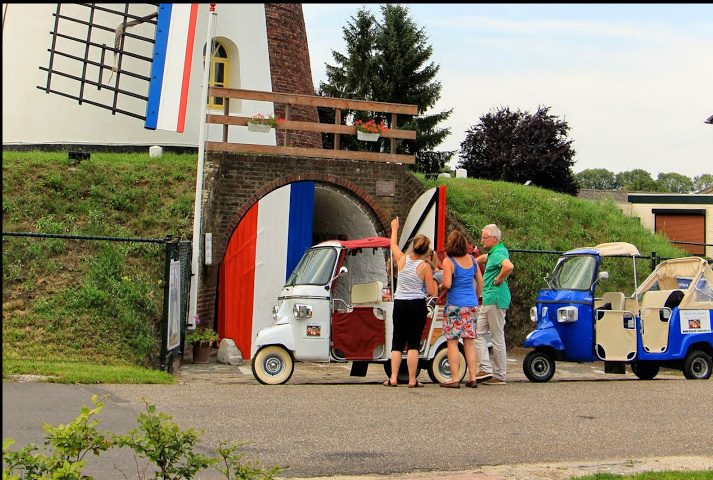 A nice trip to see the mills, on foot, by bicycle or by car, is something easy to do in the Weert area. Enjoy the mills and the lush greenery in the Greenest Region in the World, Kempen~broek. What’s more, there is a nice map ‘Molenkaart KempenBroek’ that point out all the wind and watermills in the region and gives you some bike-tracks. On the website of Molennetwerk KempenBroek: www.kempenbroekmolens.org , you’ll find numerous suggestions for visiting the mills on foot, by bicycle, by car, and even by rickshaw! Visiting the mills of Weert has got an extra edge to it; Weert is not only a Mill-city. The area of Weert is also very rich in nature. ‘Entente Florale’ considered it to be the ‘Greenest City of the Netherlands’ in 2012 and ‘Greenest city of Europe’ in 2013. In the year 2014 Weert was utmost proud to be announced ‘Greenest region of the World’. Amongst all this beautiful nature that is where you can find our windmills and watermills turning. 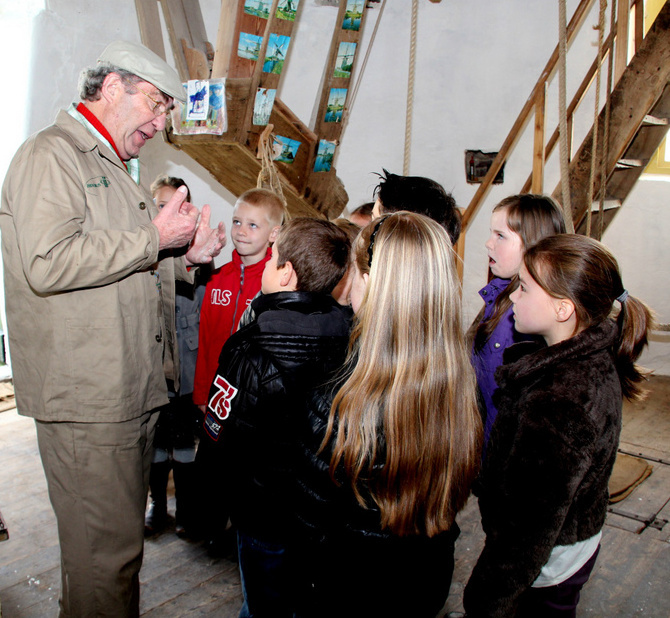 The society Molenstichting Weerterland organises activities for schoolchildren and students every month, mostly on Wednesday afternoons or on Saturday. Every mill has its regular Wednesday afternoon activities. Schoolchildren learn to know and like the mills. Moreover, activities are also organised during the holidays. The importance of mills in our history is proven by an old written charter stated on the 12th of may 1295 by the chapter of ‘Sint (Saint) Servaes’ from Maastricht concerning the regulation of mill rights and ownership of a wind- and a watermill in Weert. 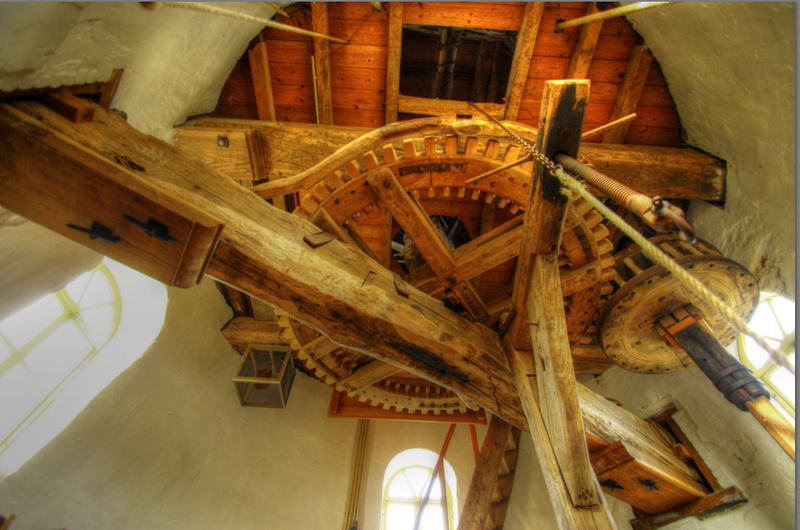 Reppel watermill in Bocholt is founded 856. The society MolenNetwerk Kempen~Broek and the voluntary millers and guides like it when you show your interest for the mills that they are so proud of. Our volunteers invite you to visit their mills. They will show you round the premises and speak of them with enthusiasm. 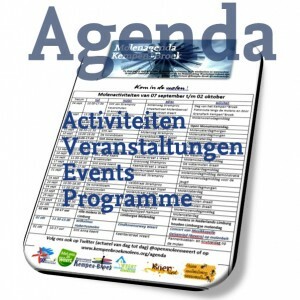 To know what activities are organized, or what mills are open on a particular day and what the opening times are, consult our website www.kempenbroekmolens.org or follow us on Twitter via @OpenMolensWeert. 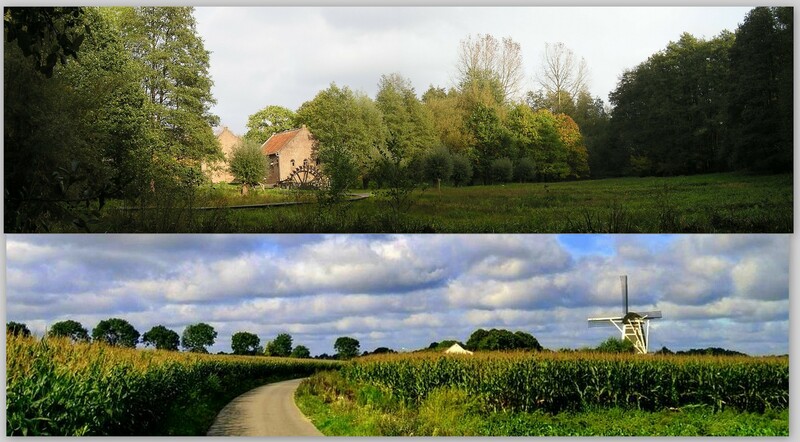 Where are the windmills and watermills in Limburg? In Kempen~Broek you will find plenty of watermills and windmills in action, as well as the remains of many others. All these mills are indicated on the map.